From Sir Walter Scotts tale of chivalry, romance, and medievalism, the breakout hero Ivanhoe emerged. 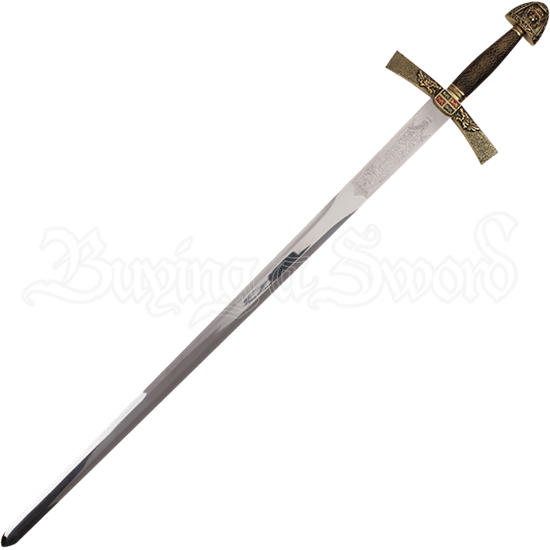 Made of stainless steel, the Ivanhoe Sword with Sheath is a collectible blade modeled after the weapon of the main character. Taking inspiration from historical styles, this medieval sword features subtle etching along its ricasso, just before the ornate crossguard. Rectangular in shape, the arms of the crossguard angle slightly towards the blade. At its center sits a red and green shield emblem framed by depictions of roaring lions. Slightly contoured for a rounded look, the grip appears as though wrapped with wire, thus textured for a steadfast grip. A spade shaped pommel finishes off this replica weapon, featuring the face of a lion with red gems in its eyes. The entire hilt features an antique brass finish, lending a rustic yet regal appeal to its overall design. Decorated with matching shield emblems, the included hard black scabbard makes it easy to store or display the Ivanhoe sword. 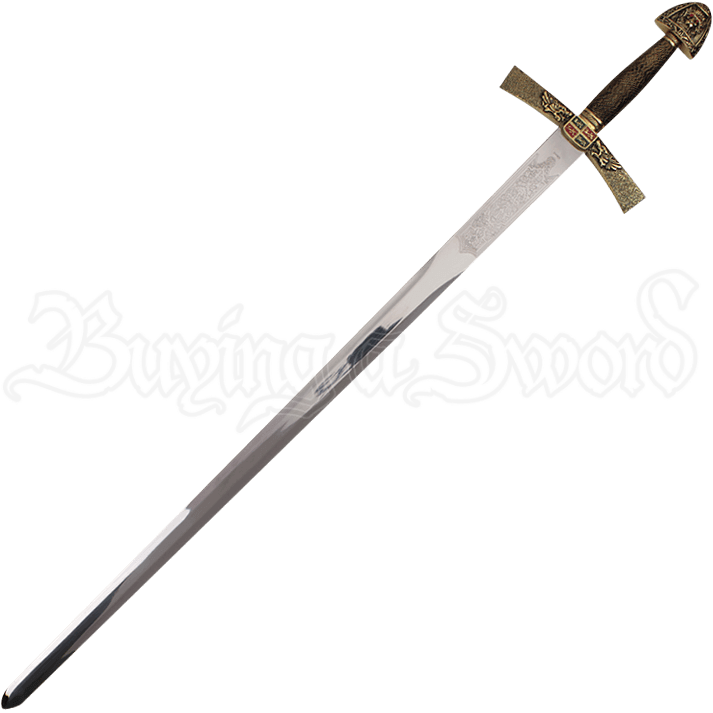 Whether you proudly showcase its intricate detail in your own home or gift it to a loved one fond of medieval tales of daring, the Ivanhoe Sword and Sheath makes a fantastic collectible or display piece.